The Government of India is implementing Centrally Sponsored Scheme and Central Sector Schemes including National AYUSH Mission for development and promotion of Ayurveda, Yoga and Naturopathy, Unani, Siddha and Homoeopathy (AYUSH) in the country. Under National AYUSH Mission (NAM), certain States have submitted State Annual Action Plan (SAAP) for an amount more than their entitled resource pool as allocated by Government of India. However, grant-in-aid has been released to the States in accordance to their resource pool and other eligibility condition of the Scheme guideline. In the year 2014-15, an amount of Rs 7528.71 lakhs was released to the states as grant-in-aid under AYUSH Mission . In 2015-16, an amount of Rs 10849.57 lakhs has already been released as grant-in-aid under the Mission. As health is a State Subject, setting up of new institutions are under the purview of concerned State/UT Governments. However, under the component of AYUSH Educational Institutions & AYUSH Services of NAM there are provisions to set up new State Government AYUSH colleges & hospitals and upgrade the existing institutions. Further, three new autonomous institutes under Government of India viz. All India Institute of Ayurveda, New Delhi, North Eastern Institute of Ayurveda & Homoeopathy, Shillong and North Eastern Institute of Folk Medicine, Pasighat, Arunachal Pradesh are in advance stage of construction. As health is a State Subject, development of AYUSH city and villages are under the purview of concerned State/UT Governments. However, under the component of AYUSH Services of NAM, there is provision of financial assistance for AYUSH Gram. This information was given by the Minister of State (Independent Charge) for AYUSH, Shri Shripad Yasso Naik in reply to an unstarred question in Lok Sabha today. Panchagavya is a classic collective name of five products obtained from cow viz milk, curd, ghee, urine and dung. Cow urine is ingredient of several Ayurvedic formulations and also used as adjuvant with medicinal formulations and for pharmaceutical processing called Shodhana (Purification) and Bhavana (Triturition) of medicinal materials. Central Council for Research in Ayurvedic Sciences has conducted a National Seminar on Panchagavya Chikitsa in the year 2014 for promotion and awareness building and brought out a compilation document of published research papers on Panchagvya and its ingredients. The published research papers on Panchagavya have been uploaded in the ‘AYUSH Research Portal’ for ready access to the public. Council of Scientific and Industrial Research (CSIR) through its constituent laboratories has conducted research studies in collaboration with Go Vigyan Anusandhan Kendra, Nagpur on cow urine distillate for its antioxidant and bio-enhancing properties on anti- infective and anti-cancer agents and nutrients. Four US Patents have been secured since 2002 and one pharma- ceutical product containing cow urine distillate with anti-oxidant property is available in the market. Panchagavya and its ingredients are part of the course curricula of Ayurvedic studies at degree and post-graduation levels. Opportunities of postgraduate and postdoctoral research as well as extramural research on Panchagavya are available to the interested scholars and scientists. A total of 44 Institutions are imparting Unani Under-graduate, Post-graduate and Post-graduate Diploma Education in the country including a standalone National Institute of Unani Medicine at Bangalore. v. Establishment of New Medical College, Opening of New or Higher Course of Study or Training and Increase of Admission Capacity by a Medical College Regulations, 2003” read with amendment Regulations of 2013. The Union Minister of State (Independent Charge) for Development of North Eastern Region (DoNER), MoS PMO, Personnel, Public Grievances, Pensions, Atomic Energy and Space, Dr. Jitendra Singh has said that the Government of India plans to focus on road sector in the Northeast in a big way in order to address the issue of poor connectivity in the region. This was disclosed here today by Dr. Jitendra Singh when a delegation of Manipur based "Socio-Economic Development Organization" (SEDO) called on him with the request to consider the proposal for an alternative and shorter inter- State connecting link between Manipur and Assam by means of a road from Churachandpur district headquarter Tuibong to Jiribam. Dr. Jitendra Singh said, the emphasis will not only be on constructing new roads and widening the existing roads but also on laying down a network of inter-state roads which were hitherto not owned by any of the respective States and were often referred to as “orphan roads”. The members of the SEDO delegation led by Shri Letkho Haokip handed over to Dr. Jitendra Singh a memorandum and a letter of recommendation from Shri Thangso Baihe, Lok Sabha Member of Parliament. According to the memorandum, the existing link between Manipur and Assam through a road from Imphal to Silchar is about 250 kms long and also has a large traffic load. In case an alternative road from Tuibong to Jiribam is constructed, it will be possible to connect the two States through a link which would be less than 150 kms. The memorandum submitted to the Minister requested for this road project to be taken up under Non-Lapsable Central Pool of Resource (NLCPR) for the year 2015-16. This will not only help in improving the connectivity but would also help in bringing all the underdeveloped regions closer to the mainstream. According to the members of the deputation, they had approached the Government of Manipur for inclusion of the project in the State Priority List of NLCPR for 2015-16 and, according to them, it has also been recommended to the Ministry of DoNER. Once completed, the road will help in connecting far-flung sub divisional villages to other destinations where presently there is no other means of transport except foot tracks. Ministry of AYUSH through Central Council for Research in Homoeopathy, an autonomous organization under the Ministry has developed a programme on ‘Homoeopathy for Healthy Child’ aiming at screening, early diagnosis and management of common diseases of children & adolescents. The program is being implemented on pilot basis in 10 blocks. · Field health workers (ANM, ASHA & AWW) are being trained to provide home based care for minor complaints related to teething. · These health care workers are being provided a kit of common bio-chemic/homoeopathic medicines for timely management. A training manual has been developed for using this kit. Homoeopathic doctors are being provided training for the diagnosis of 30 disease conditions of children & adolescents (0-18 years) identified under RBSK. These doctors will be involved in screening of children (or coordinating with existing screening teams) for these conditions. 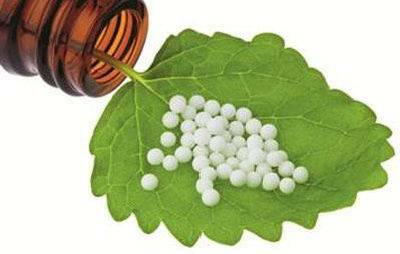 Homoeopathic treatment will be provided for the identified conditions along with early intervention provisions outlined in the RBSK. Budgetary provisions (estimated 2.79 crores) for training, manpower/salaries, material and conveyance for the first stage have been approved by the competent authority.